There are many retail casinos in Mississippi, however, online casinos have yet to be regulated. Follow the MS online casino regulation updates here. The online gambling rules are slowly changing across the United State. Mississippi is no different. See the latest legislative updates regarding online gambling and casino games in MS. There are a number of favorite casinos around the Gulf Coast offering legal casinos, and there’s a strong indication that these best casinos in Mississippi will be taking their business online. Get all the info you need here to start legally betting on your favorite table games, roulette, and more as soon as operations go online in MS. When will there be Mississippi online casinos? In the second half of 2019, we expect to see Mississippi finally take advantage of a state lottery. Due to recent changes in Supreme Court rulings, all kinds of betting (including sports and casino betting) are being expanded. In some cases, gambling is going online with legal, real-money casino apps and more. All gambling in the Magnolia State is regulated by the MS Gaming Commission. Some of the best casinos in Mississippi have sister sites that are offering legal, real-money gambling today. We naturally expect these operators to have a leg-up on the competition when it comes to releasing a fully-fledged Mississippi gambling app online. If you’re looking for a great venue to place your bets in a fun and comfortable atmosphere, there are plenty of places in MS for you to choose from. More importantly, however, we’re going to list the best casinos in Mississippi not only in terms of customer rewards and bonuses but also in terms of nationwide status: which of these are already offering trusted online casino apps in states like New Jersey? That’s going to make a big difference on who will likely release a Mississippi gambling app online. Taking a look at the rewards programs and bonuses offered by Resorts Casino Tunica, we’re relatively impressed– you can expect up to $500 in play points just for signing up with a Resorts Rewards card. If and when Mississippi gambling goes online, a Rewards program that earns you points for online play is a must. Judging by the Resorts Rewards programs in states like New Jersey, not only can you expect your online play to earn you Rewards points, but also bonuses like 100% deposit match up to $1000! (Terms and conditions apply.) To reiterate– Mississippi gambling hasn’t gone online yet, but when it does, Resorts Casino Tunica will be a hard competitor to beat. With years of trusted service in Mississippi and in other states, Harrah’s Gulf Coast (a Caesars property) is a great place to visit when you’re looking for great welcome offers, a comprehensive rewards program, and more. When MS Gulf Coast casinos start offering online play, a casino backed by Caesars will necessarily be a top competitor in the online gambling market. Caesars offers online apps in other states like New Jersey that have hundreds of slot types, a great schedule of promotions, and more. $10 risk-free bonuses and $300 deposit match bonuses await; just tick a box when you’re making your first deposit. Harrah’s Gulf Coast, when finally offering an online casino in MS, will have the advantage of the near-gold standard service that Caesars has offered for decades. If you’re looking to gamble at Golden Nugget, make sure you sign up for the 24K Rewards program. Additionally, get on their mailing list for regular bonuses sent straight to your inbox. Taking a look at the New Jersey version of the Golden Nugget casino service, we’re seeing deposit bonuses of up to $1000, tournaments, multi-table play, and a whole list of reasons to get on and start playing. We’re eager to see what Golden Nugget offers once MS online casinos finally start hitting the market. Their track record in other states is stellar, so we should see good things for Mississippi. If you’d like to take your winnings and multiply them by upwards of seven times, the 7x multipliers offered at Hard Rock Hotel & Casino Biloxi are for you. We’re seeing a lot of “consolation bonuses” as well– Hard Rock Hotel & Casino offer you cashback bonuses even if you lose! Make sure to sign up for their free rewards program, and check back with us once Mississippi gambling goes online for more updates on promotions, bonuses, and more. 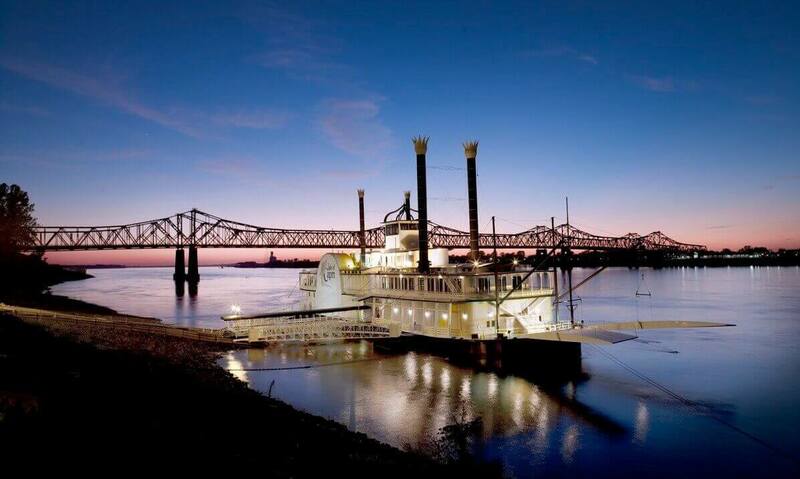 If you’re not on the Gulf Coast and are maybe closer to the river in Jackson or Vicksburg, there are still plenty of nearby options for you to visit, stay, and enjoy a great casino experience. Whether these riverfront casinos will have options for online play remains to be seen, but we are hopeful that soon Mississippi gambling will go online statewide. Here are a few of our picks for riverfront casinos near Jackson, Mississippi. In the second half of 2019, Mississippi expects to finally release a state lottery. This is a great indicator that Mississippi gambling may be going online in the near future. The places we mentioned are the best casinos in Mississippi in our opinion. Not only because of their in-person support but also because they have experience offering online play in other states. This will be a huge draw for Mississippians who are unwilling or unable to travel 45 minutes or more for their casino experience. We’ll keep you updated on promotions, bonuses, and what’s legal at the best casinos in Mississippi. So, check back soon!